Peter Sharp graduated as a Physiotherapist from Cumberland College of Health Sciences, the University of Sydney in 1993. He completed his Masters in Musculoskeletal Physiotherapy at the University of Sydney in 2000. 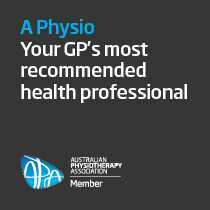 He has worked in a number of hospitals and private practices in the past 17 years and has owned St Leonards Physiotherapy since 2007. He is passionate about chronic back pain and helping people to break out of the vicious cycle of pain and disability. Sally is a musculoskeletal physiotherapist with over 20 years experience and a long-term member of the team at St Leonards Physiotherapy. She graduated with a Bachelor of Applied Science (Physiotherapy) then returned to Sydney University to complete postgraduate qualifications in spinal manipulation and musculoskeletal therapy. Sally specialises in the treatment of sports injuries, back and neck pain. She is very fond of the elderly and enjoys working closely with them and provides home visits for those less mobile. Michael graduated from Sydney University with a Masters of Physiotherapy after previously completing a Masters of Occupational Health and Safety and Bachelor of Exercise Science at the University of Wollongong. Michael has lectured and tutored in fields of exercise physiology and anatomy for over 10 years at the University of Wollongong, University of Western Sydney and most recently with Australian Catholic University. Michael has also worked extensively as a personal trainer and an exercise physiologist in Australia and London. Chris’s lifelong appetite for sport and exercise led him into a Bachelor of Science at the University of Wollongong, majoring in Exercise Science and Rehabilitation before graduating at the end of 2014 with a Masters of Physiotherapy from the University of Sydney. He has also worked as a physiotherapist in the public hospital sector in a wide range of medical areas, including orthopaedics, neurological, surgical and outpatients. 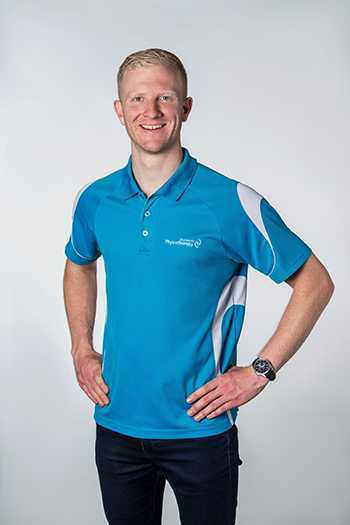 Chris uses his combined exercise science and physiotherapy experience to effectively treat and prevent sporting injuries, manage persistent pain conditions and maximise performance. Chris is also driven to transition the rehabilitation process from the clinic to the gym setting, where he can facilitate higher levels of physical conditioning and assist patients to manage musculoskeletal issues long-term. Jan Redman is an experienced paediatric physiotherapist and works with children of all age groups, from neonates to adolescents up to 16 years. She has had extensive experience in the public hospital system and recently moved into private practice. Jan has a special interest in children with Connective Tissue Disorders and Developmental Hip Dysplasia. Jan provides clinical education services for nurses, midwives, allied health and medical professionals and was previously a National Paediatric Group Representative on the National Advisory Council in the Australian Physiotherapy Association. 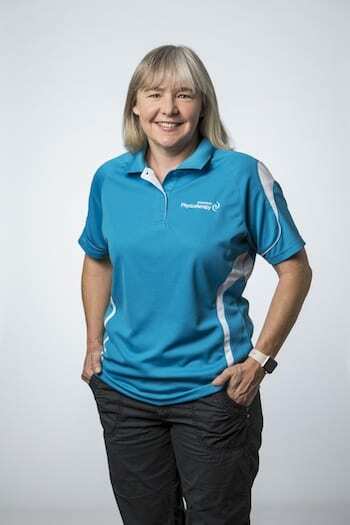 Jan is a member of the NSW Paediatric Physiotherapy Neonatal Group and is an accredited assessor of the General Movements Assessment for premature babies and neonates. Jan provides home visits, group therapy for developmental co-ordination disorder and aqua therapy. Requel Trevillion graduated from Sydney University with a Bachelor of Applied Science (Physiotherapy) with Distinction in 1995. She started her career at Royal North Shore Hospital and then set off to travel abroad and work in the UK for three years. Returning to Sydney, Requel worked in a number of leading private practices developing a wide range of manual therapy skills including the Mulligan technique, muscle energy and connective tissue massage. In 2000, Requel joined Physiocise, a leading exercise-based practice who deliver functional movement programmes for chronic back pain. It was here Requel developed a love for educating clients about their bodies, movement and using exercise as a form of treatment. She specialised in teaching children the importance of good posture and how to keep growing bodies fit and strong. She developed an education and exercise program which has been presented to over 12 000 children in NSW schools. Requel has always enjoyed teaching and presenting and for many years has used these skills to educate fitness professionals on injury prevention and how to teach exercise safely. Requel is part of the Australian Physiotherapy Paediatric Group and works with children of all ages. As a mother of two and being hypermobile herself, she has a particular interest in teaching kids fun and practical ways to keep their body straight and core strong. She runs small group exercise classes for children 8-16yrs. Liz is a Physiotherapist with over 20 years experience in the management of Paediatric conditions. Liz graduated with a Bachelor of Physiotherapy from The University of Qld in 1992 and has worked exclusively in Paediatrics in NSW. Work settings have included specialist clinics at the Children’s Hospital at Westmead, Community Health, the previously known Spastic Centre (Celebral Palsy Alliance), private practice and in the disability sector. Liz has a special interest in developmental disability, vision and hearing impairments. Liz has completed a Masters in Special Education Vision with Merit in 2008 and worked for a short time as an Orientation and Mobility Instructor at Guide Dogs NSW/ACT. She continues her interest in Vision impairment with a close working relationship with Guide Dogs NSW/ACT. Liz is a member of the Paediatric Physiotherapy Group. Liz provides sessions in the clinic, home visits, preschool visits and community visits. Angus graduated from The University of Sydney with first class honours in 2012 and immediately started work as a physiotherapist treating musculoskeletal and sports injuries. He was the physiotherapist for the Penrith Panthers Rugby League development squads from 2012-2013, and the Warringah Rugby Club colts from 2013-2015 which honed his skills in managing sports injuries effectively. During and since this time, Angus has had extensive experience treating a wide range of conditions for people of all ages. He has a strong understanding of the biomechanics of human movement and sporting performance which allows him to get to the root cause of your complaint. Angus’ passion is to help people get moving and providing them with the tools to stay in control long term. Joshua graduated from the Australian Catholic University in 2018 and has already been working hard with musculoskeletal and sports injuries throughout his early studies. He worked as a Physiotherapy Assistant and trainer for the North Shore Bombers AFL club between 2016-2018 and has since moved to the North Bears Rugby League club as of 2019. 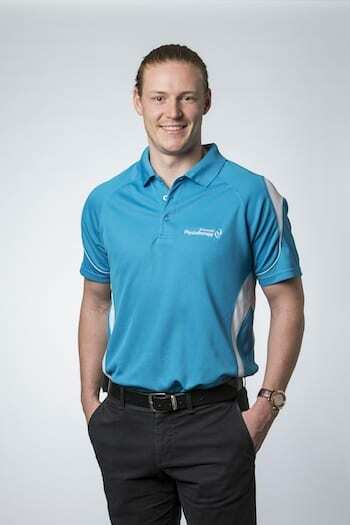 Concurrently alongside Joshua’s sporting passion, he worked as a Physiotherapy Assistant at North Shore Private Hospital between 2017-2019 giving him an extensive knowledge of orthopaedic and surgical procedures. During this time, Joshua has been exposed to managing a wide case load from inpatient hospital to on field acute and late stage rehabilitation sporting injuries. Joshua’s passion involves effectively managing and preventing sporting injuries and managing long-term conditions. Joshua maintains a holistic client-based approach to maximise progression through musculoskeletal rehabilitation towards more autonomous self-management skills.